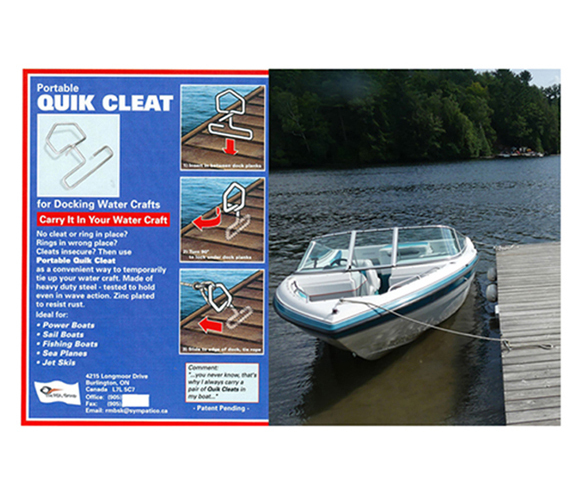 Portable QUIK CLEAT is a convenient way to temporarily tie up your water craft when a dock has no fixed cleats or rings. When finished just simply twist and remove and store back in your water craft. • Size - 7 1/2-inch long x 8-inch wide x 3-inch deep. • Material- 5/16 (8mm) Cold Rolled Wire. • Color - Bright Zinc.